The 6,913-yard par 72 Wicked Stick Golf Links opened in 1995 could be closing soon. The course was designed by Clyde Johnson with consulting input from two-time major winner John Daly. John Draughn, director of commercial sales for Caldwell Banker Commercial Real Estate, said a homebuilder is contracted through his company to purchase more than half of the 148.6-acre Wicked Stick property for a single-family residential development. The contract is pending, as the homebuilder is performing due diligence on the property that is expected to last another month. Wicked Stick currently remains in operation as a golf course. The course has been operated recently through a cooperative agreement with the Glens Group, which operates four other courses in the area (Glen Dornoch, Heather Glen, Possum Trot and Shaftsbury Glen). 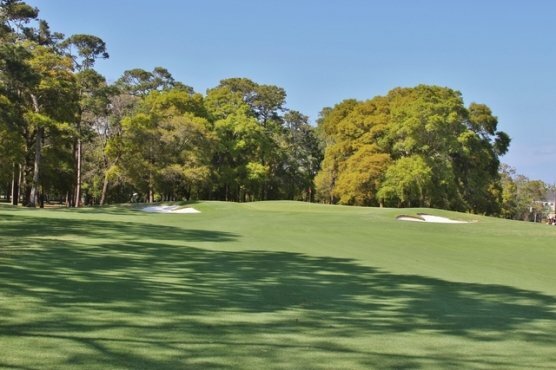 Paul Himmelsbach, one of the courses several owners stated that the course was listed and that it is a tremendous piece of commercial real estate. He also went on to comment that there is no real future in the golf business to speak of. You might break even or make a little profit. If there is a piece of land that is better suited for commercial use, then it makes sense to do that. The asking price for the entire 148.6 acres has been listed as $6.55 million.